Even though there might be strong evidence in relation to the effectiveness of a national curriculum on pupil outcomes, this may not be sufficient evidence on its own to justify particular curriculum designs. For example you could have a national curriculum that was strongly aligned with up to date research evidence about what works in different subject areas (literacy and mathematics perhaps), but if the design does not include allowances for pupil agency and teacher autonomy over the curriculum then the resentment caused by imposition of such a curriculum may result in less than optimum teaching and learning. Although applying research evidence in the context of national curriculum design is complex this does not mean that it is acceptable to disregard rigorous research and scholarship. It is illuminating to read former BERA President Mary James’s account of the insufficient attention to research evidence paid by government in the decisions made about England’s national curriculum. Designing a curriculum requires a systematic approach to the evidence and other influences that will be used to inform the curriculum. Previous evaluations of national curricula, and research on national curricula more generally, are important sources. One dimension of the measurement of curriculum is its representation of knowledge to be taught, compared with knowledge to be located and proposed by pupils. Muller’s conclusion about rapprochement is a tantalising one, particularly in the context of policy and evidence. Could curricula of the future get much closer to synthesis of disciplinary based powerful knowledge combined with pupil-centred teaching that seeks to build on pupils’ unique constructions of their world? For the time being though the performativity of national and international testing, and its influence on curricula, is pervasive. But as the chapters (in the same volumes as Muller’s) by Andreas Schleicher, Esther Care and Shinya Takekawa powerfully illustrate, the value to curriculum design of international comparison of pupil tests is strictly limited, and needs to be understood alongside the much longer traditions of comparative research and their methodologies. Muller, J. (in-press). Knowledge and the Curriculum. In D. Wyse, L. Hayward, and J. Pandya (Eds.) The SAGE International Research Handbook on Curriculum, Pedagogy and Assessment. London: SAGE. Wyse, D., Hayward, L., Higgins, S., & Livingston, K. (2014) Editorial: Creating curricula: aims, knowledge, and control, a special edition of the Curriculum Journal. The Curriculum Journal, Vol. 25 (1), 2-6. Dominic Wyse is Professor of Early Childhood and Primary Education at the UCL Institute of Education, London. 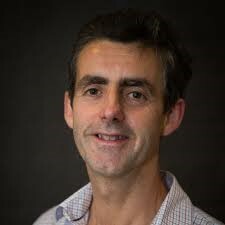 Dominic was a Senior Lecturer in Primary and Early Years Education and a member of the Centre for Commonwealth Education at the University of Cambridge. He was a Fellow and Director of Music-Making at Churchill College Cambridge. He was a primary teacher for eight years which included posts in London, Bradford and Huddersfield. Following his work as a teacher he lectured in Primary Education at Liverpool John Moores University for eight years, latterly as a Reader. Dominic’s research focuses on curriculum, pedagogy and policy. A major strand of this is his work on the teaching of English, language and literacy. He also works on creativity, and educational innovation. Dominic gave evidence in relation to England’s National Curriculum to the House of Commons Committee for Children, Schools and Families. He has spoken about policy and pedagogy on BBC Newsnight and BBC Radio 4 Today.